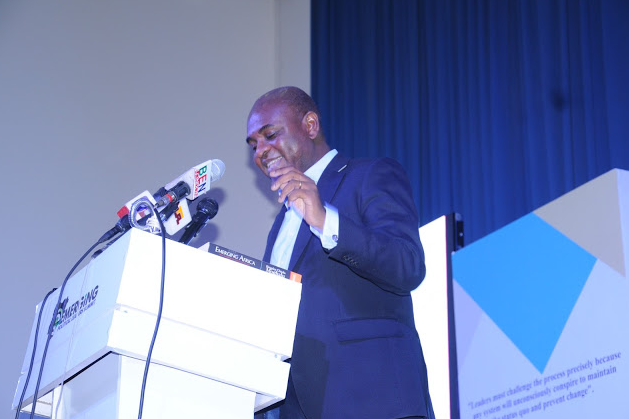 Professor Kingsley Moghalu, the former Deputy Governor of the Central Bank of Nigeria and Founder, Institute for Governance and Economic Transformation (IGET), has called on Nigerians to wake up to their responsibilities and utilise the power of their voices and votes to take control of their future. 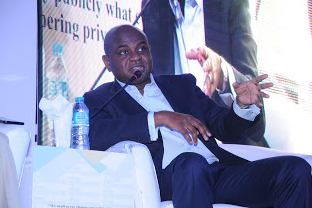 Speaking at the Emerging Political Leaders Summit held at the Shehu Musa Yar’adua Center, Abuja, the former CBN chief and Professor of International Business and Public Policy at Tufts University in Massachusetts, United States of America delivered a powerful and timely keynote speech at the event meant to address the factors in the country’s inability to optimally compete economically in the global market. Themed “Breaking the Economic and Political Status Quo”, the summit was organised under the co-chairmanship of Mr. Frank Nweke Jnr. and Senator Yusuf Datti Baba –Ahmed, and was meant to shine the light on the needs of a country, which in the words of Baba-Ahmed, “has basked in its own potential and enormous economic potential while its citizenry have been subjected a vicious cycle of misgovernance for several decades. Challenging all emerging political leaders in Nigeria to develop a worldview which will serve as our national philosophy, he said “It is time to give Nigerians a sense of self. It is time to define who we are, to determine our direction and how we intend to get there; a sense that compares us to other societies that we started out with. This is the time to renew our minds and for all Nigerians to understand that development is a state of mind and not a transaction”. He concluded by calling on Nigerians to utilise the powers of their office as citizens, saying “it is time for vision, technocratic knowledge and competence in political leadership in this country”. 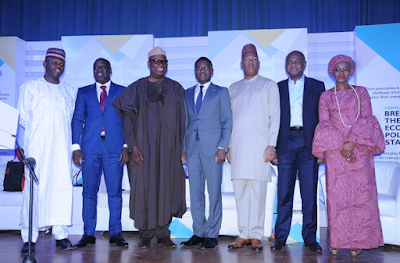 Other speakers at the event included Mallam Bolaji Abdullahi, former sports minister and spokesperson to the All Progressive Congress; Ayisha Osori, columnist, author and Board member of OSIWA, and Senator Babafemi Ojudu, the Special Adviser to the President on Political Matters.